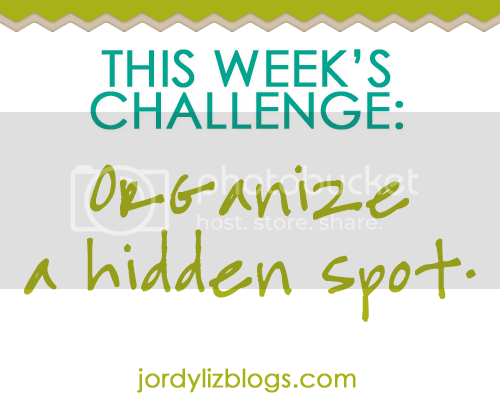 Jordy Liz Blogs: Organizing Life: A hidden spot. Organizing Life: A hidden spot. This week, I organized a hidden spot. I organized my bedside table. It is literally in the farthest spot in the house and is tucked away by our bed. No one would ever see it or open it, which made it all the more hidden. It does store some hidden treasures in the form of my journals from years and years, so it's a pretty important spot. However, it was a mess. Over the months, I've just shoved stuff behind the door such as magazines, hair ties, a light bulb, a CD - you name it. I took it all out, decided what needed to be trashed, what needed to be put somewhere else in the house, and what I really needed next to me at night. I moved the middle shelf down so I could fit all of my journals on one shelf in a way they can be respectfully stored. On the top shelf, I have my current reads including a book and a couple of magazines. On the bottom shelf is a basket to store any miscellaneous items. Even though no one else will see this place but me (and now you! ), it feels good to have it organized the right way. Found you through AZ Bloggers Network and wanted to stop by and say hello! I didn't think your before picture looked that bad but the after picture is great!